What a week it has been. The Boston Globe announced yesterday that Mark will begin his chemotherapy treatments on Tuesday in PA. They will begin with a series of chemo treatments to shrink the malignant tumor in his left thigh, known as Ewing’s Sarcoma, and anticipate surgery to remove the remaining tumor sometime in the fall. After the surgery comes the recovery time, which will bring the treatment through the end of the year. The article states that Herzlich plans on returning to football sometime next spring. Many of you have asked about making donations on Mark’s behalf and which foundation you should get in touch with. 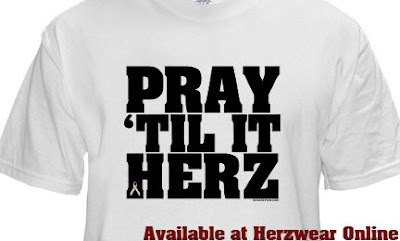 We at HerzNation would ask you to be patient. We have heard that BC has something in the works, but we will refrain from speculation. As soon as we know, you will know. And Mark. We at HerzNation wish you the quickest of recoveries and want to let you know that we will be with you the entire way. Stay Up! One last thing. We have received emails from college football fans from every team in the ACC and beyond, encouraging Mark’s quick return to the field. This banding together as one reminded me of this clip. Look what the city of New York could do to help destroy The Stay Puft Marshmallow Man. Think what we could do to help Mark eliminate this cancer from his body. Let’s see what kinda juice you got HerzNation!